This book has received the AESA (American Educational Studies Association) Critics Choice Award 2012. Community Service Learning (CSL) is, potentially, the most powerful and far-reaching educational reform movement in recent memory. Yet, that potential has yet to be realized. One major reason for CSL's limited success is found in its runaway conceptual confusion: in becoming everything to everyone, CSL has lost its philosophical bearings and, not surprisingly, its practical value. This study attempts to restore CSL's philosophical bearings, arguing that there are particular understandings of its components that imply particular kinds of educational practices. 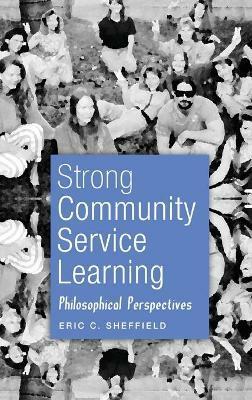 In this philosophical clarification lies the hope that CSL can meet its immense potential as a transformative school and community practice. This book is a must-have for teachers, school administrators, educational scholars, and students who have an interest in making schools a vital community resource. Eric C. Sheffield is Associate Professor of Foundations of Education at Missouri State University in Springfield, where he also serves as Assistant Director of the Academy for Educational Studies and editor of the Academy's online journal, Critical Questions in Education. He is author of several articles on Community Service Learning and co-editor of three books, Why Kids Hate School; Challenges to Academic Freedom Past and Present; and The Role of Religion in 21st Century Public Schools (Lang, 2009).